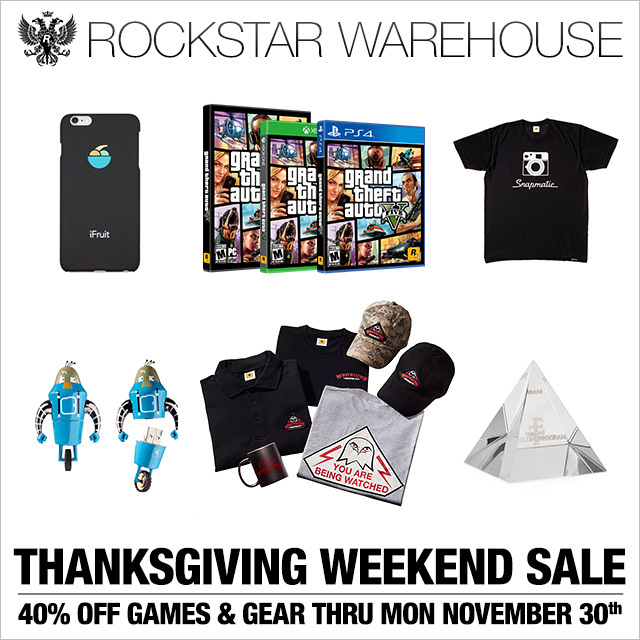 Starting this Black Friday and throughout Thanksgiving Weekend ending Monday November 30th, hit up RockstarWarehouse.com to take advantage of huge deals on all games and gear - including sought after Grand Theft Auto V collectibles never before available for purchase. For four straight days starting this Friday morning November 27th, get 40% off everything at the Rockstar Warehouse storewide. Whether you've been looking to upgrade to the latest generation release of Grand Theft Auto V on PS4, Xbox One or PC, or to download a classic Rockstar title you've never played before, or to get an original Red Dead Redemption, Max Payne 3, or Welcome to Los Santos soundtrack CD for yourself or as a holiday gift for a Rockstar fan friend - you can score all of that and tons more all at 40% off Friday through Monday. Plus, Rockstar has added to the Warehouse selection of limited-edition Grand Theft Auto V collectibles a range of highly sought after items available for purchase for the first time. These items include the Merryweather Polo, Tee, Cap and Heat Changing Mug; the Snapmatic Tee; the Loneliest Robot USB Drive and Greeting Card; the Epsilon Program Paperweight; and the iFruit Mouse Pad and iPhone 6 Case in a variety of colors. Up until now, you've only been able to score these items in rare Rockstar giveaway prize packs during Social Club Event Weekends, but starting this Friday all GTA fans worldwide can complete their collection (while supplies last!) - and at 40% off from Friday through Monday to boot. 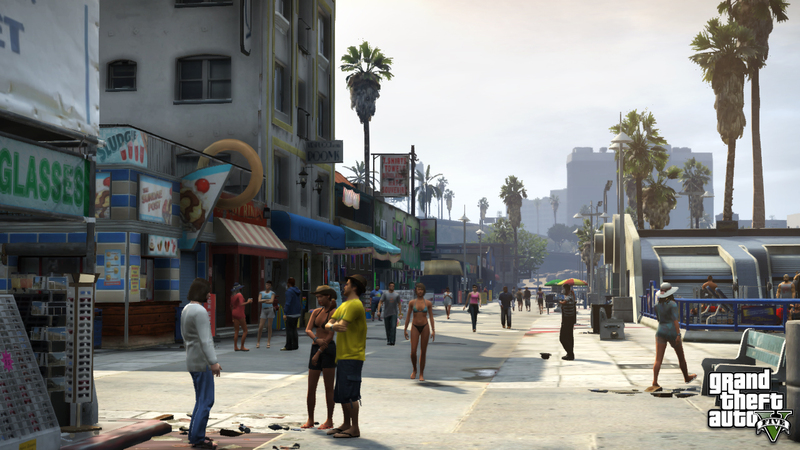 Through this Monday, when you purchase Grand Theft Auto V PC from the Rockstar Warehouse (either the digital download or the physical version), not only will you get the game itself at 40% off, but they'll also be lining your GTA Online bank account with a GTA$500K deposit to help get you started on the streets of Los Santos. For those looking to really ball out on a budget, they've also got a special buy-one-get-one sale happening all weekend long on all denominations of Shark Cards for GTAV PC to help you double down your bottom line. Enjoy and join the fun in the forums! Rockstar Warehouse Weekend Sales - Take part in Black Friday and Thanksgiving sales this weekend at the Rockstar Warehouse!